Breakfast is served satruday & Sunday 9am till 11am, Lunch and dinner service starts from midday through till 10pm. 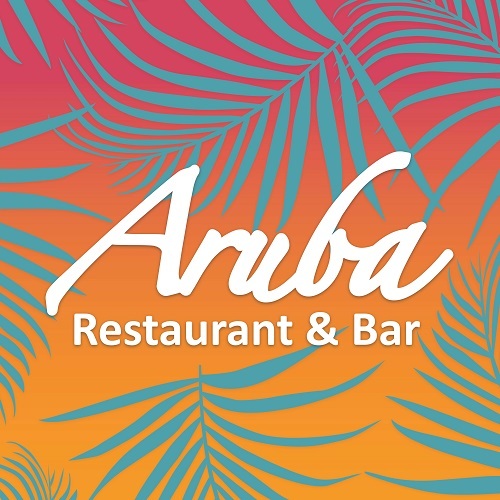 Aruba Restaurant and Bar ethos is to offer the finest food, drink, service and atmosphere, in order to create the very best eating and drinking experiences for our guests. Set on the Beach front in Bournemouth, Aruba offers the very best view in town. Our 360 degree balcony offers a breathtaking view of Bournemouth Bay and Bournemouth Pier. Open from Breakfast to late offering the best Cocktails and Best Food around. The Island bar offers great cocktails,great atmosphere and good times. My partner and I really enjoyed dinning at Aruba. The location is superb and the view of the sea and pier from the balcony and inside the restaurant is fantastic. The staff are friendly, welcoming and kind, and an especial thank you should go to Gabriel (manager) and Fred. They both were very kind and accommodating, and together, they made our visit very special and memorable in a way that we returned for dinner and drinks and dance three times in three days we were in Brournmouth. We really appreciate their hospitality and would like to thank them for all their outstanding work. Thank you! I used to visit Aruba regularly for both food and drink, it was once my favourite restaurant and bar. However, I visited for the first time in a long time last night for dinner. While I cannot criticise the bar- it is lovely and the drinks are lovely too- the restaurant is not what it once was. When I arrived, the waiter proceeded to invite us over to a table that was unmade and filthy and we stood there waiting for it to be cleaned and arranged. We weren’t given any drinks menus so we had to ask, and the menus came a long time after we’d sat down. It was not a problem at the time as we weren’t in a rush, however it was one thing after the other. Once our food arrived, it did not arrive together so one person was without their meal for a while, and when it arrived it was cold. The meal myself and my partner had ordered was jerk chicken- it was completely burnt to a crisp! We didn’t complain as the waitress was lovely and tried her best, however when I showed my tastecard, she came back saying that the manager said it cannot be accepted as it was a bank holiday. This would be understandable had the restaurant had listed this condition on the tastecard had/ other restaurants had done this however as Aruba had not listed this condition, we chose to go there purely for that reason as the food is very expensive for what it is, but is worth it with the discount. Overall, I’m very disappointed in my last visit, I hope it is not always like that but unfortunately I won’t be eating there again! The worst experience at any restaurant I’ve ever been to. The staff was grumpy and the food was appalling, after taking an 1h 30 minutes to arrive. Won’t be going there ever again. We visit Aruba  about three times a year when we visit Bournemouth. This visit was really disappointing. No pizzas available or steaks . My ribs were rock hard. The menu had been stripped of some of our favourite fish dishes. Service was slow and we don’t blame our server for that. She was busy! We are sad  to say that after many years enjoying a Friday in Aruba we won’t be back unless the menu improves. Also the bathroom needed a good clean. I would give 0 for this place absolutely rubbish food, had chicken noodle burnt, microwave rice on the green thai curry and undercooked salmon. Would not recommend to anyone, don't waste your money in that dump. We went for an early dinner at 5pm on Good Friday. We had booked a table for 5pm and it said we had to vacate the table at 6:30pm. We arrived at 5 but could not get seated even after asking 3 people. Eventually we were seated by the manager I think but then our order was not taken for ages. Food took ages to come too. No way could we have left by 6:30 so not sure what happened to people booked onto our table after us. Always loved Aruba and the variety, quality and size portions. So disappointed, we will not eat there again. Menu changed, portions tiny and quality very poor. 1/2 jerk chicken was a chicken breast cut in half, over cooked and burnt. Noodle dish was a child's portion and we had to hunt for the chicken pieces. Nachos with chilli-a sauce pot size portion of chilli, fake cheesy sauce-not even real cheese-totally disgusting! The place is now just for Hen and Stag doos. Really sad. Lovely window seat and view made the experience great. Food was delicious although a few dishes were a little too fiery for some of the groups taste, but cooked lovely and all meals come out together which is rare in a big group. Waiter was attentive but not over-bearing, there was a mis-understanding with the drinks order what was resolved with no issues. Everyone really enjoyed themselves, thank you. The staff are always friendly and enjoy their job you can easily see this. The service & food is of a high standard, the vegan burger was excellent and one of the best burgers I ever had and I and not vegan or vegetarian. Keep this fit the local.. just kidding. Manager William was helpful from beginning to end & made sure we were looked after. He was at grass roots helping to bring food in & clear away etc. Positive - Dr Balloon was fantastic! !